A new storyline starts today. This story features a guest spot from Arizona’s Greatest Hero, OCHO! 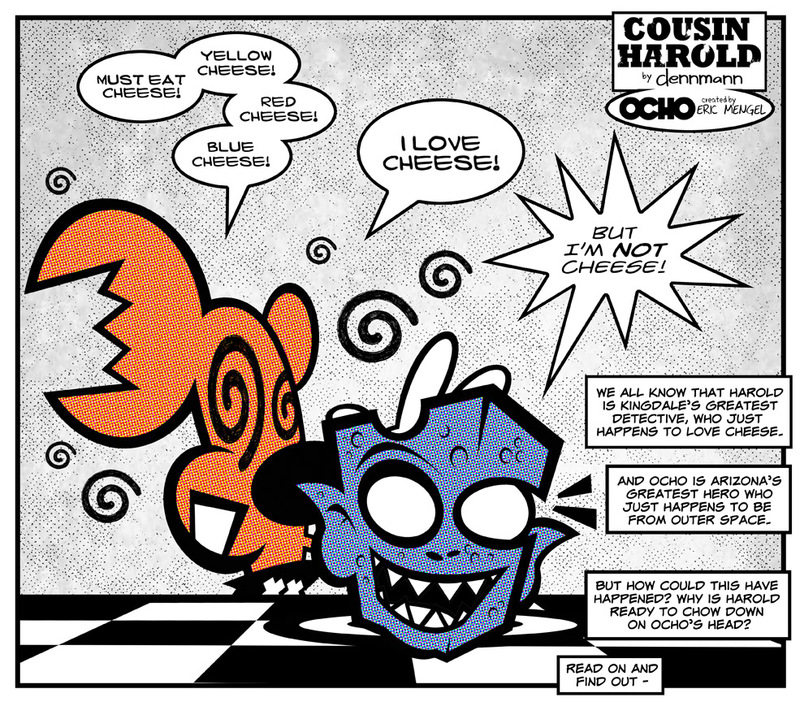 Ocho was created 20 years ago my Eric Mengel, 20 years later he is the southwest longest running mini-comic character. It’s an honor to have Eric as my comic brother and to have Ocho be a guest in my comic. This story is part of a Kickstarter reward from my 2014 Kickstarter, but in all fairness all Eric had to do was ask me to put Ocho in my strip and I would have.